An used syringe is discarded while prescription medication is strewn about haphazardly. A new research project aimed at addressing the opioid epidemic has kicked off in Southside Virginia, an area hit hard by the drug. 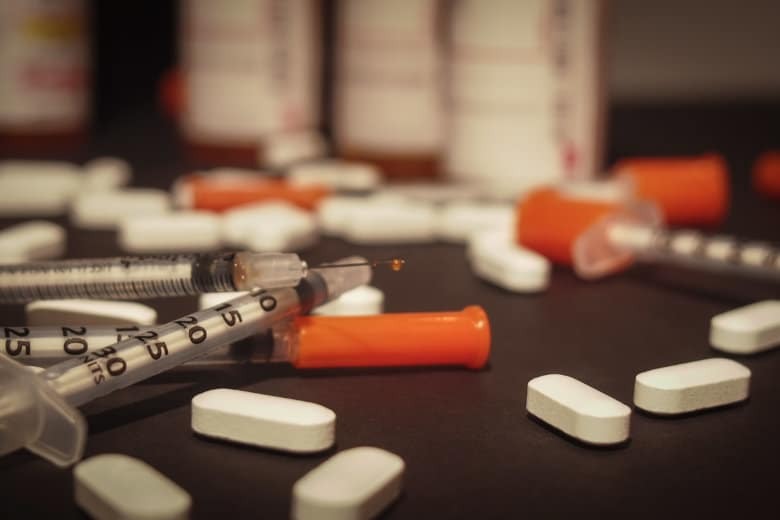 MARTINSVILLE, Va. (AP) — A new research project aimed at addressing the opioid epidemic has kicked off in Southside Virginia, an area hit hard by the drug. The Martinsville Bulletin reports that the two-year research project led by Virginia Tech has its initial meeting last month. The city of Martinsville and Henry County have some of the highest rates of unintentional opioid overdoses in the state. And a federal report last year found that patients in Martinsville are prescribed more opioids than anywhere else in the country. Virginia Tech received $100,000 in federal funding to conduct the research project, which will include interviews with key stakeholders.